Accusing the Congress of “seriously compromising India’s security”, Finance Minister Arun Jaitley gave a powerful rebuttal in the Parliament to the charges of wrongdoing against the BJP-led NDA government in the Rafale deal. Speaking in the Lok Sabha on Thursday, 8 February, Jaitley presented before the Parliament responses of Pranab Mukherjee and AK Antony from the time when they were defence ministers as examples of how the UPA, too, never disclosed details of purchase. “It is in larger interest of India’s security that a price which discloses the specific details of the weapon is never disclosed. When you disclose the details, you are giving details of the weapon system and its capacity to the enemy,” he said. Jaitley read out two responses from 2005 and 2007 by Mukherjee and Antony, respectively, in which they had maintained that any details of government purchase of arms and expenditure are classified in nature. He said that the UPA government had given similar responses 15 times during their reign. Rahul Gandhi had earlier today accused Prime Minister Narendra Modi of corruption in the deal. “I have said this earlier as well, Modi ji is involved in this Rafale scam. He himself went to Paris to sign the deal. It’s a secret pact with the French government,” Rahul said outside Parliament House. “This is for the first time that the government is refusing to reveal the prices of the jets. But no one asks any questions, no one wants to talk about it,” he added. Taking a dig at the Congress President, Jaitley asked Moily to tell his “party’s president to take a lesson from Mukherjee”. When Shashi Tharoor tried to pose a question, Jaitley countered by accusing Rahul Gandhi of manufacturing an issue falsely at the cost of national security. Finance Minister told the Congress leaders in the House that since the UPA rule was marked by corruption and PM Modi has run a clean government for the last five years, they are “manufacturing an issue”. 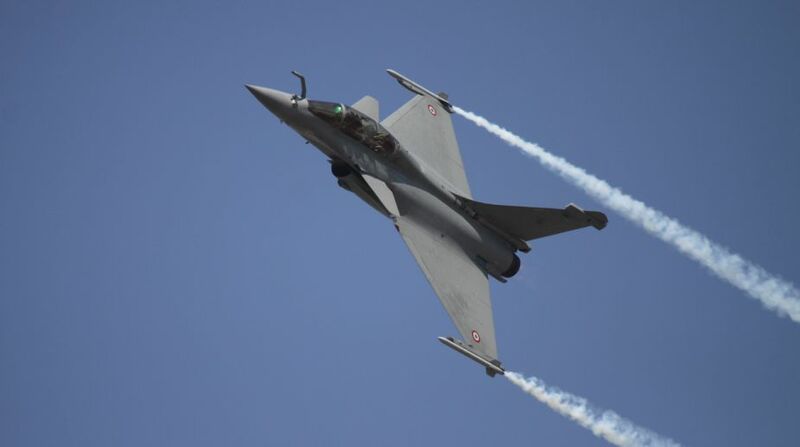 The UPA government had failed to close a deal with France for 126 Dassault Rafale aircraft after it had emerged as the lowest bidder in an international tender in 2012. By 2014, Dassault had refused to certify key components of the jet which were to be built by the Hindustan Aeronautics Limited, unless a series of conditions were met. PM Modi had announced an off-the-shelf purchase from France during a visit to Paris in April 2015 due to the pressing needs of the Indian Air Force. When the final deal was signed in 2016, it was higher than what was on offer four years earlier.